Anti-Allergen With Advance Fiber Filtration. These bags are the thick fabric type bags, not paper. Traps up to 99.9% of dust, pet dander, mold and pollen. 3 ply constuction is stonger than paper. Will not support growth of mold, fungus, or bacteria. 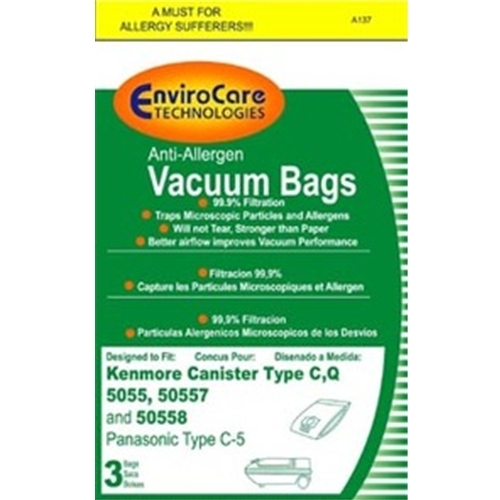 Also fits Panasonic Canister 9600 series vacuums.